After keeping a daily blog for a year, I wondered how badly I wanted to continue blogging – or even being online at all. The internet had gotten scary, especially for people telling personal stories. Especially for women. 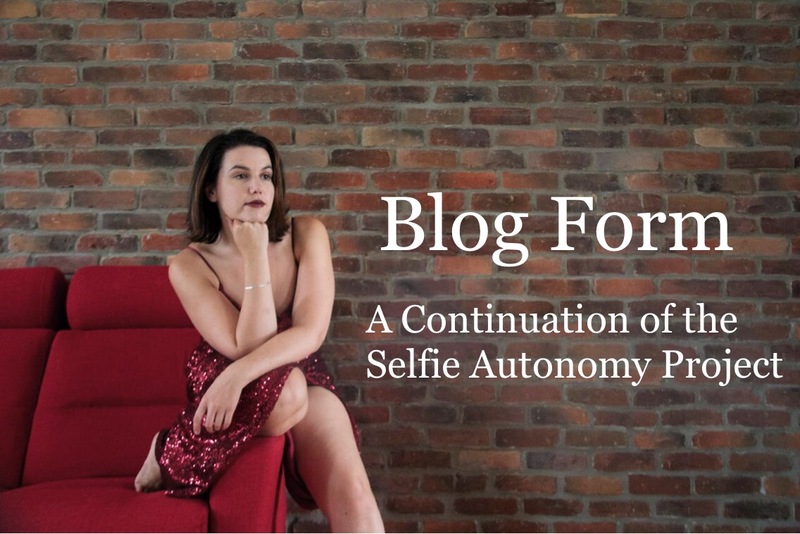 The Year of the Selfie was a yearlong blog that I called my autonomy project. When I got the idea for Blog Form, I took a big gulp. I was tired. Too many women were being attacked. The landscape had become too politicized. And maintaining an online social media “presence” was taking more time than actually writing. I was doing something wrong. But my Year of the Selfie readers were some of the kindest, most understanding people on the internet. I loved hearing from them, even when they shared with me tough personal stories. They trusted me too. Unlike what we, as women face on Twitter, and even Facebook and Instagram, this blog had become my safe space on the internet. And I wanted to continue that. I didn’t know I needed a safe space, a quiet corner, somewhere to retreat to, but now I’m not so naive. How do I share without putting my mental health in jeopardy? I decided I needed to ask a professional. “It’s being afraid of being publicly humiliated, which is something we can all relate to,” said Brandi Good, social media trainer and coach and owner of BLG Business Solutions. “I tend to find when I get approached by guy clients, they’re really focussed on the bottom line. And that’s not to say women aren’t focussed on that, but they want it packaged in a way that makes them feel comfortable,” she said. Brandi’s approach is “patient, kind, and caring” because women’s experience online, is frankly, different than men’s. She understands instantly my fear of being online, it’s the same fear many of her clients have. Brandi also knows first hand about putting herself out there, when she wrote about her husband’s close battle with a virus that attacked his heart and shut down his lungs, liver, and kidneys. Brandi Good, a Regina-based social media coach gave me some tips about how to approach my online presence without being anxious about it. I know the feeling too – but too often women hold back because just being online causes anxiety for us. I said before that I wanted to explore and understand humanity, but was that really true? I also wanted to hide from anything that could hurt me. Moving freely in the world and hiding from hurt do not coincide – was that the root of my anxiety? Does that not sum up all of our fears in a nutshell? “A lot of the time people will see something, but without the context surrounding it, so they’ll see there’s just this photo floating out there and think, ‘Well, she’s a hot mess,'” Brandi warned me, laughing. It’s so true. Well, first off, she said, determine where your line is. Where do I draw the line on what I’ll accept on social media? “We get so defensive that as soon as anyone says anything about us online, we want to fire back in kind of an angry, aggressive way or we want to figure out how to delete it or bury our head in the sand and pretend it never happened,” she said. Her big advice is for all business owners is to have some sort of social media policy to direct clients or customers to so they can be clear what will be deleted, blocked, or muted. So I thought about it. If I need to set a line, then I’ll set it here: I won’t accept profuse swearing, sexually explicit comments, nor negative comments about a person’s gender, race or political views. I will mute angry rants and excessive negativity. I am protecting my right to a safe space to work and engage when I’m online. Brandi said people don’t have to carve out those spaces all by themselves. A lot of Facebook groups can create a safe, supportive environment. And many of them are for women only. “The fact is we still need those safe spaces. And sometimes it’s not because other people are dangerous. It’s because we need to be comfortable,” she said. I think we should all be giving each other positive feedback. Let’s create safe spaces on the internet for each other.